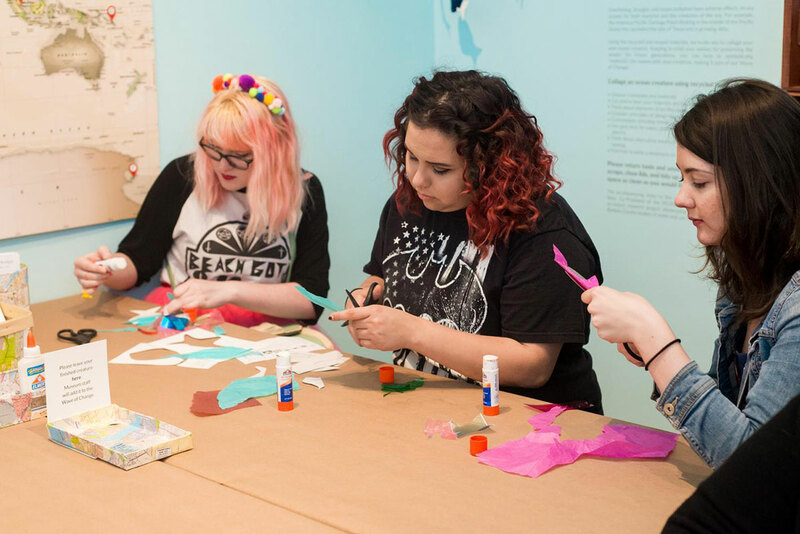 The Art Lab is an interactive learning space in the Museum that encourages active engagement with the art and artists featured in our exhibitions. Here you will find educational resources and hands-on activities, and we invite you to learn and explore. The Art Lab theme changes with each exhibition and complements the art on view with hands-on opportunities for visitors of all ages. The Art Lab has been made possible in part through the generous support of The Towbes Foundation. Additional support has been provided by the Susan E. Bower Engagement Fund, as well as Director’s Circle and Curator’s Council members.